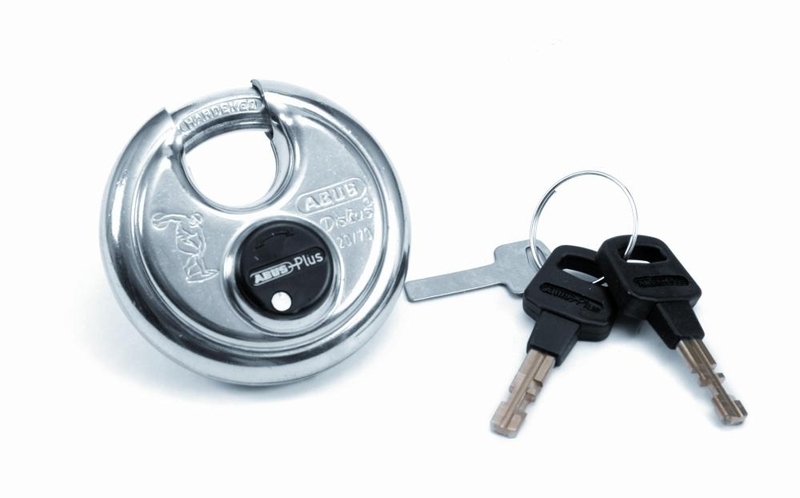 Discus Padlock. 70mm width, 9.5mm diameter and 17mm length. Stainless steel body with a hardened closed shackle and double dead locking. 10 year guarantee.